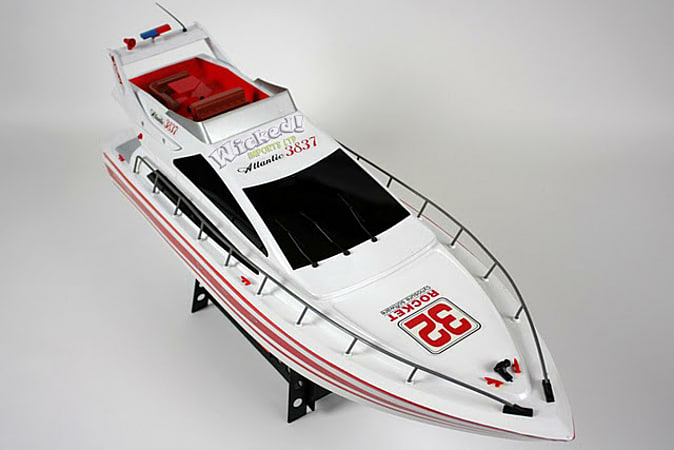 The Radio Controlled Atlantic Yacht is perfect for some water based fun! The Remote Controlled Atlantc Yacht is a high power low priced electric radio controlled boat from the famous manufacturer Heng Long. 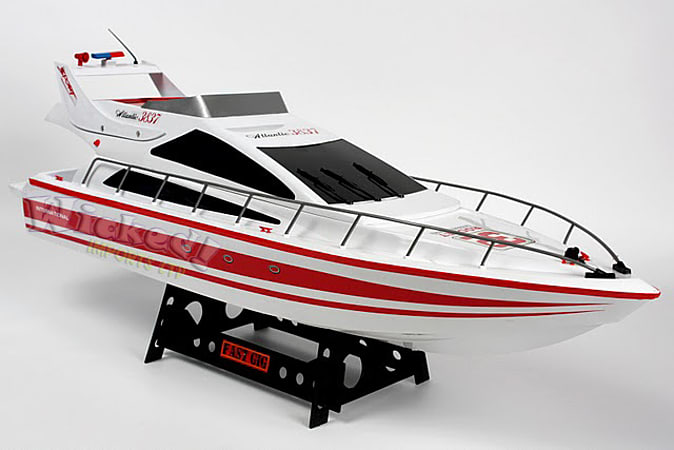 This is a high power low priced electric radio controlled boat from the famous manufacturer Heng Long. There are not many rc boats on the market that are as well priced as these but none at this price level that are as quick as these. The power is generated by a size 380 racing motor and high capacity high power 8.4v 1800mah rechargeable battery pack with UK charger. The boat looks great and is fully built, ready to use out of the box. The 2ch controller has a range of about 200m and the boat will run for about 10 minutes of each charge. 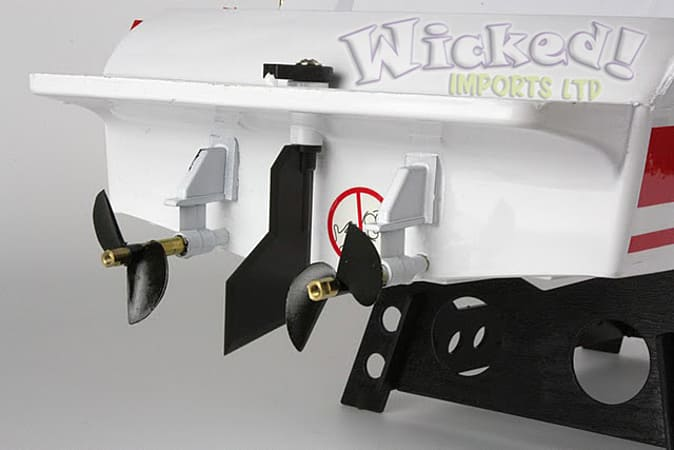 Large torsion propellers for steering. •Please note, if you plan on running multiple products together, ask for multiple frequencies when ordering to avoid any mix ups.